The Elder Scrolls: Legends | An Update to Legend-rank Rewards! An Update to Legend-rank Rewards! Are you looking to prove yourself on the Ranked ladder? Thinking of grinding to the top ranks of Legend this month and be matched against the best of the best? There’s never been a better time than now as we’re adding several new reward tiers to the Legend rank, starting with the February season! Legend rank - along with rank one - has always awarded players three copies of the monthly reward card, but now we’re implementing additional incentives to climb even higher. Starting with our February monthly reward card (to be announced later this month), any player who finishes in the top 1,000 Legend ranks will receive a premium version playset of the monthly reward card instead! A few months back, we introduced a special card back given to anyone who reached Legend during a given month. We’ve loved seeing players proudly display this achievement on the backs of their cards but thought that those with the skill and dedication to reach the very top deserved a little something extra. As a result, this card back now has an animated premium version which will be given to anyone who finishes a Ranked play season in the top 100! We’ve also created a never-before-seen premium card back for players who finish in the top ten Legend ranks. This card back, shown below, is sure to cement your status as one of Legends’ most elite players. 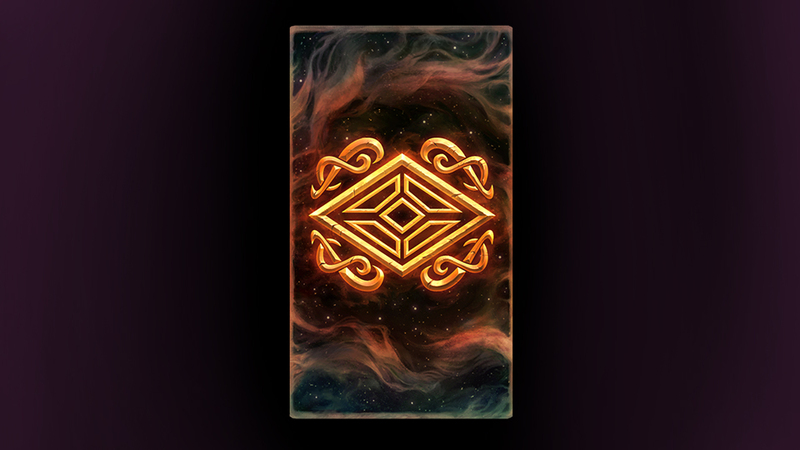 Be sure to hop into the Ranked ladder today and work toward these new card backs and premium copies of the monthly reward card, the latter of which we’ll be showing off soon!